Think of this page as a career shopping mall. You should be looking for the elements you want in your future life. So many people waste their time doing trivial things and make no effort to learn anything about "how the world works." There are plenty of clues on this page. 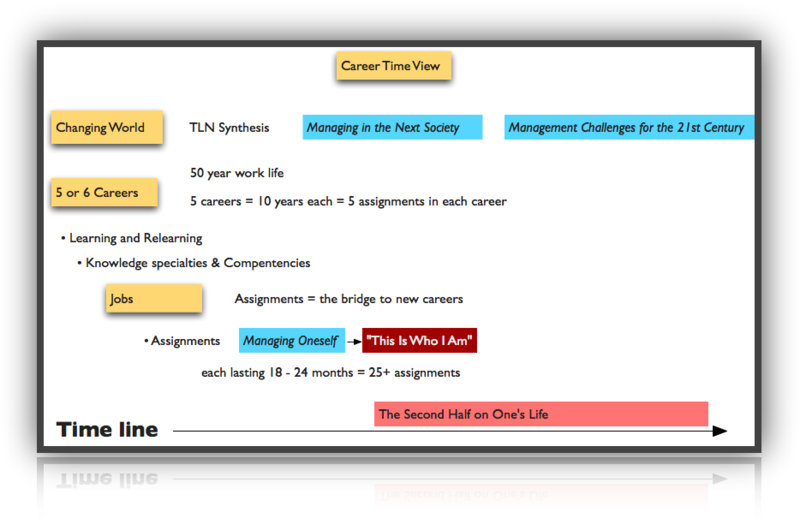 This page is meant to be used to create a career "radar" list with topics, timing, dependencies and importance. More on this below. This is relevant to anyone who wants more than a routine job in a dying organization. … Real life involves a great deal of 'pro-active' thinking. This means going out and doing things. All the information is not given — you have to find it. Something is not placed before you. Major reality check: There are over seven billion people on the planet and almost none of them care about your career thinking—delusions. They care about themselves. Their question throughout your life will be: "what are you going to do for me tomorrow?" — what you did yesterday carries little weight. They behave just like you do—as a consumer. They move on when it suits their interests—just like you. This is a part of a foundation for career understanding and action. The work on this page will help you get organized for this reality. This page focuses on careers over a life time—a longer and different view than jobs. It is different from occupation titles. There are people who use their work lives to create a good, meaningful life for themselves — more and different from just a good paying job. This is not something you can do once and then live happily ever after — that only happens in fairy tales. It is not possible to work on things or draw on things that aren't on your radar. This page is meant to be used as a conceptual landscape, systematic brainroad SM and time-investment menu. 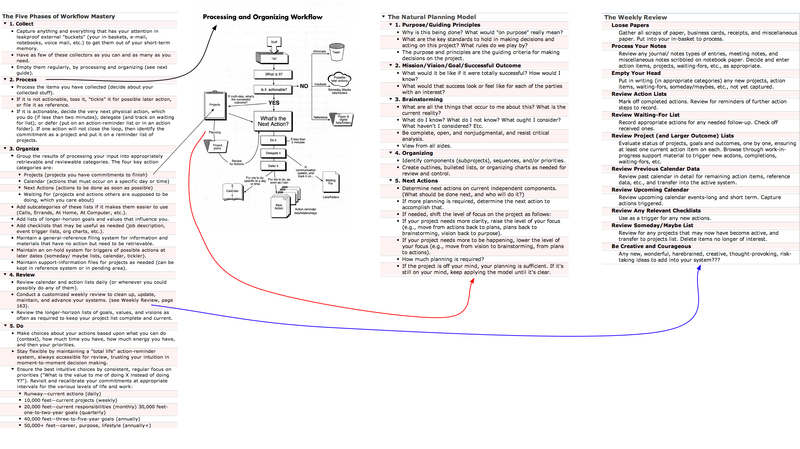 To perform this brainroad function requires an introduction to a broad range of topics and quite a few sidebars (through indentation) that add breadth or elaboration to a topic. This page looks down the road ahead of you (2015, 2020, 2030 …), not the road behind us. The roadS ahead are not linear extensions of the roads behind—an iPhone isn't just a more up-to-date version of the black, rotary-dial, party-line phone of the 1950s and a tweet is not a more up-to-date version of a telegram. The content of this page will be useful to anyone at any age. It provides a foundation for managing oneself for life. It provides information for working on the question: "Where do I (as a unique individual) belong?" They will have to accept the fact that it is their own responsibility to find meaningful work that builds on their strengths and values. "The World Is Full Of Options"
This page is an attention-directing tool — click now. People sometimes use the words jobs and careers interchangeably, but few say anything like “I’m going to my career today,” rather they would say “I’m going to my job.” A test of whether a job creates a career is what happens when a job comes to an end. There are millions of people who assumed their job was a career only to find out later that their daily work didn’t conveniently translate into a job somewhere else at a different point in time. Defining what precisely constitutes a career is not necessary for the purposes of this page. Working on this page presents a challenge, but that is the nature of the world you should be preparing yourself to enter or participate in—it is not sanitary like school. It may take months to harvest and organize the ideas you want to pursue. The page's purpose is to help you create a valuable launching pad for the rest of your life. The term "launching pad" has special significance. It is chosen in preference to the word "foundation." This distinction is explained further down this page—in several places. This page provides a work-life landscape view, links to conceptual resources, and suggested tools for harvesting and organizing those resources. In other words it performs the function of a menu. This allows you to pick what fits you. These are part of the building blocks of your future life and careerS. This page provides a foundation for future directed decisions. Part of that foundation is the understanding of the launching pad idea above. The title of this page is early career WORK. This means finding important concepts, harvesting, organizing, acting, reflecting, rethinking, reflecting, more finding, harvesting … etc. This work should never stop—it is a part of navigating your life. If you are not willing to do this work, you will end up a "cog" in somebody else's "scheme" and be manipulated by somebody who doesn't care about you. The page is a work approach blueprint that will take your brain to places it wouldn't go otherwise. No one—regardless of intelligence—can invest time in opportunities that aren't on their radar. Most people's radar is filled with yesterday—it couldn't be otherwise. The brain is a history library that has to run in the future tense. Getting the right stuff on one's radar is only the first step—and a repeated challenge. I strongly suggest that you read through this entire page before clicking links except the ones in this paragraph. It would be a good idea to have some kind of structured note-taking system for harvesting and organizing ideas on this and its linked pages. I'm a Mac user. 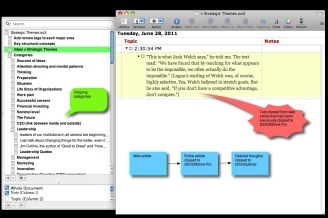 I personally use OmniOutliner Pro, MindNode Pro (there is a free non-pro version), Scrivener, and DEVONthink Pro. Unless you need a heavy article archiving solution, Scrivener should do the job (there's a Windows version). Also see specialized knowledge now. Thoughts on interesting topics you encounter during a day: As you're going through your day, it is a good idea to make note of any moderately interesting topic and where you discovered it. Later you can review these and archive those that don't seem valuable. The purpose of these notes is to help you look out the window. They are attention-directing tools. So pay attention to what catches your attention—it may mean something later on. Beware of the futility of politics, predictions of the future, and things that look like they are going to be big. But the most important work of the executive is to identify the changes that have already happened. The important challenge in society, economics, politics, is to exploit the changes that have already occurred and to use them as opportunities. The important thing is to identify the "future that has already happened"—and to develop a methodology for perceiving and analyzing these changes. A good deal of this methodology is incorporated in my 1985 book Innovation and Entrepreneurship, which shows how one systematically looks to the changes in society, in demographics, in meaning, in science and technology, as opportunities to make the future. The notes that survive your initial pruning process can be organized in a number of ways. Filing them by review sessions will keep them on your radar. David Allen suggests a weekly review (overview of his system). See JUN 2 "A Successful Information-Based Organization" and "30 AUG — Finding Opportunity in Surprises" in The Daily Drucker for a monthly review process. See NOV 15 in The Daily Drucker — The Management Letter for a semi-annual review. 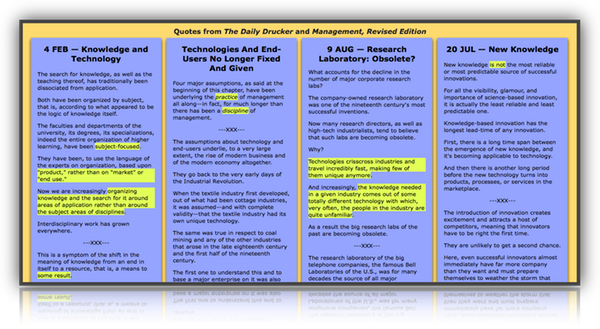 See Drucker's Annual Review in My Life as a Knowledge Worker. Also reviews are needed for: people decisions; expected results from assignments, contributions, key activities and projects; effective decisions. You are going to have to design your own attention-directing system as you go through your life—nobody else can do it for you. The answer to the question "What needs to be done?" almost always contains more than one urgent task. But effective executives do not splinter themselves. They concentrate on one task if at all possible. If they are among those people—a sizable minority—who work best with a change of pace in their working day, they pick two tasks. I have never encountered an executive who remains effective while tackling more than two tasks at a time. Hence, after asking what needs to be done, the effective executive sets priorities and sticks to them. Other tasks, no matter how important or appealing, are postponed. However, after completing the original top-priority task, the executive resets priorities rather than moving on to number two from the original list. He asks, "What must be done now?" This generally results in new and different priorities. "If something fails despite being carefully planned, carefully designed, and conscientiously executed, that failure often bespeaks underlying change and, with it, opportunity." When you're reading something of substance its a good idea to think about what you need to calendarize. At age 20 a person can anticipate a 50-60-70 year work life. It pays to be informed on the nature the work challenges ahead. It pays to make the right foundational work decisions early on. The pay differences above reflect the differences between the potential knowledge contribution values in world of work—see the economic content and structure diagram further down the page. Blue and rose rectangles above are linked to other pages. The "Changing World" (above) refers to the reality that we are embedded in a world moving relentlessly toward unimagined futures. Within the life span of today's old-timers, our society has become a "knowledge society," a "society of organizations," and a "networked society." In the twentieth century, the major social tasks came to be performed in and through organized institutions—business enterprises, large and small; school systems; colleges and universities; hospitals; research laboratories; governments and government agencies of all kinds and sizes; and many others. And each of them in turn is entrusted to "managers" who practice "management." Career math: "Many" people may have 5 or 6 Careers over a 50 year work life. That works out to about 10 years per career. Within each career there will be the need for learning and relearning. To be valuable these careers will have to be based on knowledge specialties and competences. There will also be the need for developing necessary skills. Within each career there will be jobs in which these assignments are embedded. 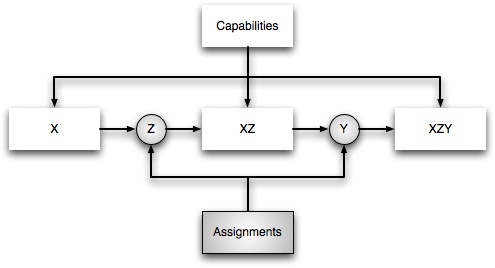 These assignments are the bridge to new careers because they create new major capabilities. The new assignments you accept should fit you. At some point you should start to consider the second half of your life. The stepladder is gone, and there's not even the implied structure of an industry's rope ladder. It's more like vines, and you bring your own machete. Q: If a young man in a gray flannel suit represented the life long corporate type, what's today's image? A: Taking individual responsibility and not depending on any particular company. Equally important is managing your own career. You don't know what you'll be doing next, or whether you'll work in a private office or one big amphitheater or even out of your home. You have to take responsibility for knowing yourself, so you can find the right jobs as you develop and as your family becomes a factor in your values and choices. Remarkably few Americans are prepared to select jobs for themselves. When you ask, "Do you know what you are good at? Do you know your limitations?" they look you in the eye with a blank stare. Or they often respond in terms of subject knowledge, which is the wrong answer. When they prepare their résumés, they try to list positions like steps up a ladder. It is time to give up thinking of jobs or career paths as we once did and think in terms of taking on one assignment after another. We have to leap right over the search for objective criteria and get into the subjective—what I call competencies. There are two modern, attractive career roads that are available in reasonable quantities: knowledge technologist and knowledge worker. The remainder of this page applies primarily to knowledge workers. 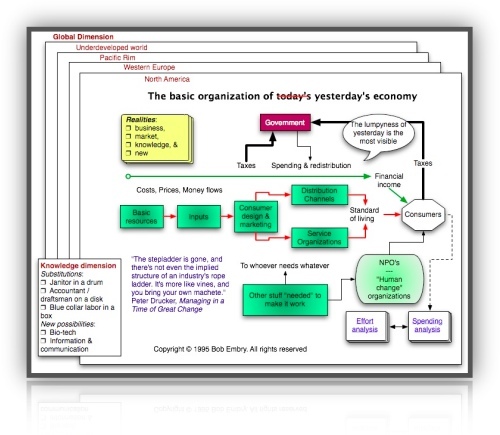 After looking at the illustration above in its simple form, you could mentally rearrange into the following sequence: Sectors > then Organizations that make up a sector > then a Work type branch > then the branches of the "Every organization" node> has Worker types. The sequence you've just configured is a tentative future career road. Living in More Than One World runs in parallel and is personal. The Second Half of Your Life is a part of living in more than one world—further down the road. There are links to Living in More Than One World and The Second Half further down the page. The world of work depicted above takes place in the real physical world. You might find it interesting to get a list of the world's largest population centers and visit them in Google Maps or Google Earth's street view. Also check out their skylines. A view of the earth at night indicates the spread of electrification and the potential for modern electronics. There is a time lag between part of what goes on in the world of work and when it becomes visible on the "street." In June 2011 there was no iPhone 5 out in the wild, but it had been in the world of work for several years—R&D in several organizations through out the supply chain. 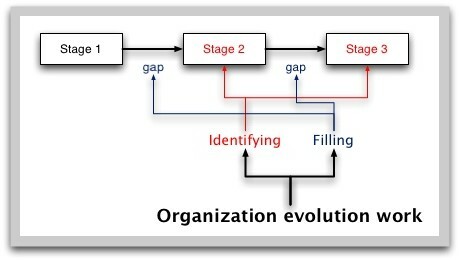 The engine that creates the new is related to the "Every organization" node in the mind map above. Every organization needs to be fully engaged with management's new paradigm and strategic certainties for tomorrow. Every organization needs to be fully engaged with every topic in Management, Revised Edition and each topic is a potential work area for somebody. Unfortunately many, many, many organizations wait for trouble before aggressively pursuing these action areas—when it is too late. When they do respond its usually with an inside-out effort rather than an outside-in approach (Find: The Customer: Joined at the Hip in The Definitive Drucker). The U. S. Census Bureau publishes frequent news releases. These contain indications of the complexity of the world and the world of work. You can be notified of these through a RSS feed or you can find them buried in my Society :: events :: stuff happening pages. Two more RSS feeds to consider: the Drucker Exchange (http://thedx.druckerinstitute.com/feed/) and McKinsey (http://rss.mckinseyquarterly.com/f/100003s2jgmrvob5sup.rss). I subscribe to the Daily Updates: Emerging Technologies Update. This newsletter is just a reminder of the kinds of things other people are pursuing. A lot of the things that get reported from the sources turn out to mean nothing. Also there is an enchantment with technology—for technology's sake—that is unjustified by its track record—people don't buy technology, they buy what it does for them. There is more on this theme further down the page. Every social or economic problem is an opportunity available to the world of work. We now have a foundation for thinking about formal education. Part of the foundation for the world you'll be entering later. 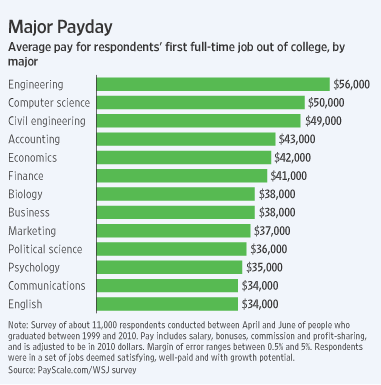 Long before your senior year make sure you have a real-world knowledge specialty—be sure to follow the preceding link (not just a college major). A knowledge specialty that is integral to the design, marketing and production (probably in another country) processes of the “things” that people want to buy (and can afford) in the worldS of tomorrowS. In today's society and organizations, people work increasingly with knowledge, rather than with skill. Knowledge and skill differ in a fundamental characteristic—skills change very, very slowly. Knowledge, however, changes itself. It makes itself obsolete, and very rapidly. A knowledge worker becomes obsolescent if he or she does not go back to school every three or four years. Knowledge workers cannot be supervised effectively. Unless they know more about their specialty than anybody else in the organization, they are basically useless. The marketing manager may tell the market researcher what the company needs to know about the design of a new product and the market segment in which it should be positioned. But it is the market researcher's job to tell the president of the company what market research is needed, how to set it up, and what the results mean. The function of organizations is to make knowledges productive. Organizations have become central to society in all developed countries because of the shift from knowledge to knowledges. The more specialized knowledges are, the more effective they will be. The best radiologists are not the ones who know the most about medicine; they are the specialists who know how to obtain images of the body's inside through X-ray, ultrasound, body scanner, magnetic resonance. The best market researchers are not those who know the most about business, but the ones who know the most about market research. Yet neither radiologists nor market researchers achieve results by themselves; their work is "input" only. It does not become results unless put together with the work of other specialists. 1. Jobs actually exist and are growing (where you want to live). Growing implies a healthy need for the work and a future for the work. Where you plan to live may limit your career and life development choices. There are a lot of places mired in the worlds of yesterdayS. 3. Something you can do and you don't mind doing (to get you started in the real world). Make sure you have a crystal clear view of the daily work and working plus its realities. "We have studied the country's best high school principals, the best affiliate leaders of Habitat for Humanity, the best emergency room nurses, the best pharmaceutical reps, and whenever we interview excellent performers in the same role," Buckingham says, "we find this same phenomenon—extraordinary results achieved in radically different ways." Wrote Drucker: It's important "to accept the fact that other people are as much individuals as you yourself are. They perversely insist on behaving like human beings. This means that they too have their strengths; they too have their ways of getting things done; they too have their values. … Each works his or her way, not your way. And each is entitled to work his or her way." Don't take someone else's word for it—do your own research, your own thinking. Try to make sense of the world from both customers and producers viewpoints. As an example, what explains the evolution of sound transportation technologies: from vinyl records of various sizes and speeds to 8 track to cassettes to CDs to digital downloads to cloud-based technologies … This is part of the evolving world of work. Observations on course work: If you take a course in tennis, basketball or any other sport, does that make you an automatic member of your university's team? How many of those who play on a university's team actually go on to play professional sports? How many of the superstars of a university's team go on to become superstars in professional sports? How many of the superstars in professional sports were superstars earlier in life? Why wouldn't these same observation apply in all fields? How might observations of this nature change over time? 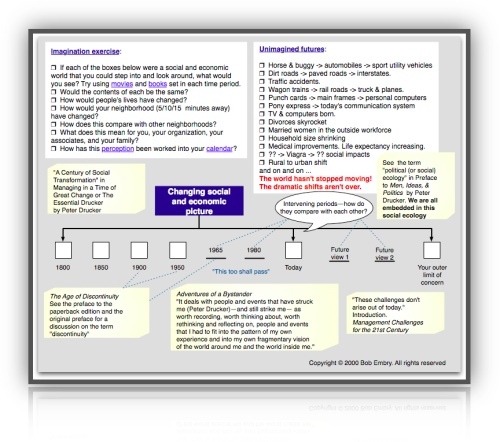 Where does the specific content of a course fit in economy, society and customer value systems? Conclusion: coursework is only an introduction and is not even directly applicable to evolving situations in the real world. Don't ever begin to believe that getting an academic certificate is a guarantee of success in the real world. There are untold numbers of organizations with or that had lots of financial resources, people of high intelligence, advanced degrees (even Nobel Laureates) and years of experience that get in terminal or near-terminal conditions—Who Says Elephants Can't Dance? : Leading a Great Enterprise through Dramatic Change or It takes a crisis or Google: Nokia platform burning or the American auto companies or the real-estate melt down or the list could go on and on …. And they don't get out of trouble by doing more of yesterday. Things fail at the height of their success. Asserting that an organization is doing great and therefore doesn't need to create its future is predicting the future based on the past—which created today's situation. Peter Drucker once commented that "trying to predict the future is like trying to drive down a country road at night with no lights while looking out the back window." Its a competitive world and that spells change. It is also a world where knowledge is constantly making itself obsolete. All of this is unpredictable—except that its going to happen. If you don't believe me, get a list of prominent companies from 30 years ago and see what happened to them. How many completely disappeared? How many were able to successfully pursue a linear path? Remember you may have a 60 year work life. Don't let yourself get lulled into a false sense of security—always keep trying to design your way forward. Be aware of the unique risks inherent in new knowledge and the existence of the shakeout: Chapter 9 of Innovation and Entrepreneurship. In Peter Drucker's The Effective Executive and Innovation and Entrepreneurship he writes about the wisdom of "aiming high." As a thinking exercise pick ten current products or services that have large global markets then imagine "aiming high." Next try the same exercise on ten products or services from the 1960s. What did you learn? What about aiming to be average? In considering which of your enthusiasms or passions to pursue remember that "aiming high" is always future directed and dynamic. The search for knowledge, as well as the teaching thereof, has traditionally been dissociated from application. Both have been organized by subject, that is, according to what appeared to be the logic of knowledge itself. The faculties and departments of the university, its degrees, its specializations, indeed the entire organization of higher learning, have been subject-focused. They have been, to use the language of the experts on organization, based upon "product," rather than on "market" or "end use." Now we are increasingly organizing knowledge and the search for it around areas of application rather than around the subject areas of disciplines. Interdisciplinary work has grown everywhere. This is a symptom of the shift in the meaning of knowledge from an end in itself to a resource, that is, a means to some result. Knowledge as the central energy of a modern society exists altogether in application and when it is put to work. Work, however, cannot be defined in terms of the disciplines. End results are interdisciplinary of necessity. This is the launching pad for your life (not just a job or a career) in a world where there is little previous experience that is directly relevant to the years ahead. Learn to connect what you have to offer with what the prospective employer is seeking. This includes having an elevator pitch and some personal brand preparation. Learn to ask intelligent, informed questions (the ammunition for your questions is on this page and it links) then stop talking and listen carefully. Ask for clarification where needed. Then say "Thank you." Figure out how you are going to connect with people who have jobs to offer. 80% of jobs come through networking. Below are a couple of books that present some ideas to be working on. The books are basically out of print but the outline topics can be used for creating web searches to fill in the missing details. Try an internship in your knowledge field. If this makes you squirm—maybe you're considering an inappropriate field. A substantial portion of self education involves seeing what needs doing in the outside world and what your contribution should be. … Effective executives know that time is THE limiting factor. The output limits of any process are set by the scarcest resource. In the process we call “accomplishment,” this is time. Time is also a unique resource. Of the other major resources, money is actually quite plentiful. We long ago should have learned that it is the demand for capital, rather than the supply thereof, which sets the limit to economic growth and activity. People—the third limiting resource—one can hire, though one can rarely hire enough good people. But one cannot rent, hire, buy, or otherwise obtain more time. The supply of time is totally inelastic. No matter how high the demand, the supply will not go up. There is no price for it and no marginal utility curve for it. Moreover, time is totally perishable and cannot be stored. Yesterday's time is gone forever and will never come back. Time is, therefore, always in exceedingly short supply. Within limits we can substitute one resource for another, copper for aluminum, for instance. We can substitute capital for human labor. We can use more knowledge or more brawn. But there is no substitute for time. It is the one truly universal condition. All work takes place in time and uses up time. Yet most people take for granted this unique, irreplaceable, and necessary resource. These ideas about WHAT we spend our time doing have major strategic implications for individuals, organizations, and society. … As we get older we acquire roles and the expectations that come with those roles. This requires the right preparation!!! … People change over such a long time span. They become different persons with different needs, different abilities, different perspectives, and, therefore, with a need to "reinvent themselves" for the second half of their lives. 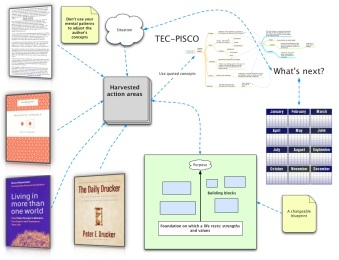 Concepts presented in the mindmaps above were harvested from Management, Revised Edition by Peter Drucker. The educated person can be found in chapter 48 and also in the final chapter of Post-Capitalist Society. Near the very end of these chapters: "One thing we can predict: the greatest change will be the change in knowledge—in its form and content; in its meaning; in its responsibility; and in what it means to be an educated person." 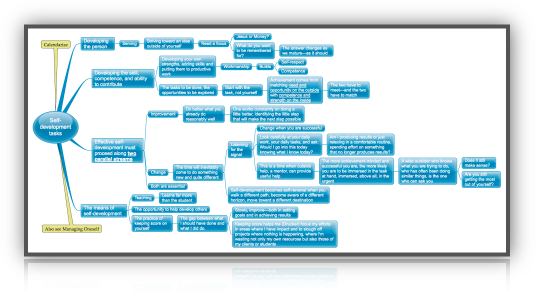 Each terminal node on the mindmaps above could be explored using "Thinking Broad and Thinking Detailed." This section started with a quotation on time. Everything that followed also involved time. The conceptual resources that follow are attention-directing tools. They provide a way to force yourself to see the complex evolving landscape in which we are all embedded. Reality Check by Guy Kawasaki (a broad landscape view of potential time investments and areas of work). Mr. Kawasaki has a product driven, inside-out world view—so beware. Generic list of concepts that have become such buzz words that they have lost their intended meaning (Important to scan the list). The page on communications is very important. Peter Drucker was famous for his one-liners. He had the amazing ability to sum up complex ideas in a sentence or two. Unfortunately these were buried in his writing or not there at all—he had a different purpose when he was writing. You can find some of these by Googling: Drucker quotes. You'll get lots of hits. These quotes—epigrams—can be helpful in seeing the road ahead from a different angle. After your exploration there are some "tools" and topics that will be very useful in your immediate journey ahead. Your objective: Let people know you can make a valuable contribution to the things they want to do. Prepare for spotting and exploiting the unexpected success—so you can run with it in a way that fits you. Think through how you might calendarize this—could be something you look for daily or constantly. Cycling through The Daily Drucker a couple of times before graduation will provide a valuable foundation for your future directed decisions. Having come this far you should try to identify the ideas that will shape your early career horizon. The more realistic the better. You're entering a competitive world—try to build on your strengths and values. Hopefully you have some outline notes that you can structure and use as reminders. Now its time to develop a horizon that you will be traveling toward. 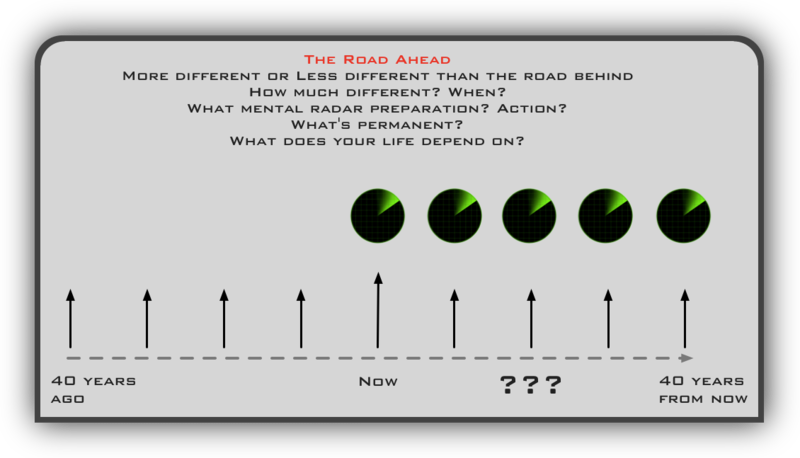 One way of thinking about this is to revisit the career roads illustration above and chart your path through the various options—starting with sectors. 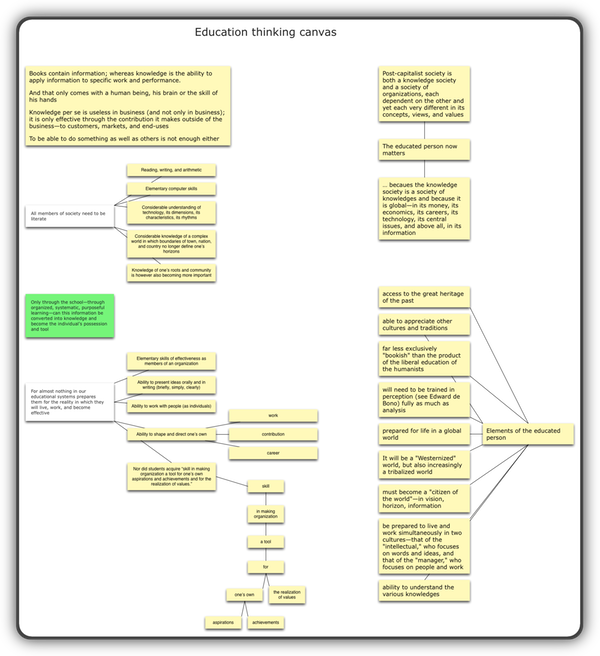 You need to have a plan B and a plan C and maybe a plan D. Using the "CoRT 1" tools described in Teach Yourself to Think will help. It would be a good idea to scan through some career articles as a reality check. You can harvest key words from these articles to use in further Google searches. Next you should be able to start formulating your career implementation project. You need to figure out what really big ideas you want on your radar and the major work areas. You just want to make sure you're headed in the right direction for you and society. This is the practical stuff in finding work. Constantly test your conclusions against new information your acquire. A few years further down the road, start seriously working on self-development, "Managing Oneself" and maybe "Managing Oneself for Effectiveness." Somewhere along the way it would be a good idea to review the entire chapter list in Management, Revised Edition—what else needs to be on your radar. Make a difference. Ultimately consider "what do you want to be remembered for?" Having a reputation for performance is a valuable life-long asset and that's where Managing Oneself comes in—dissect it, harvest and calendarize. Also try to navigate to an organization where your knowledge specialty has career path to top management — this is the place your contribution will be the most valuable. One implication of this is that individuals will increasingly have to take responsibility for their own continuous learning and relearning, for their own self-development and for their own careers. They can no longer assume that what they have learned as children and youngsters will be the "foundation" for the rest of their lives. It will be the "launching pad"—the place to take off from rather than the place to build on and to rest on. They can no longer assume that they "enter upon a career" which then proceeds along a pre-determined, well-mapped and well-lighted "career path" to a known destination—what the American military calls "progressing in grade." The assumption from now on has to be that individuals on their own will have to find, determine, and develop a number of "careers" during their working lives. And the more highly schooled the individuals, the more entrepreneurial their careers and the more demanding their learning challenges. The carpenter can still assume, perhaps, that the skills he acquired as apprentice and journeyman will serve him forty years later. Physicians, engineers, metallurgists, chemists, accountants, lawyers, teachers, managers had better assume that the skills, knowledges, and tools they will have to master and apply fifteen years hence are going to be different and new. Indeed they better assume that fifteen years hence they will be doing new and quite different things, will have new and different goals and, indeed, in many cases, different "careers." And only they themselves can take responsibility for the necessary learning and relearning, and for directing themselves. Tradition, convention, and "corporate policy" will be a hindrance rather than a help. This coming Saturday I will teach—I still teach all day—our advanced management program, and about half the people in it are engineers. I asked them when we began this course a few weeks ago, "How often do you have to go back to school?" And they said, "Every other year, at least, to keep up with the changes. And every three or four years, we go back to relearn the basics, or we're obsolete." And these are not high-tech people mostly. They are mostly people in traditional industries—a lot of automotive, a lot of aviation, a lot of machine tools. And yet this knowledge changes so fast. And the same is true of the physician or any other knowledge worker. I work closely with our big local hospital on the training of nurses, and they have to go back to school at least once every year for several weeks, and every three or four years for three months, or they're hopelessly behind. This is something fundamentally new in human history. And it means that the most important thing to learn in school is how to learn—the habit of continuous learning. Invest time thinking through what is learning and what you need to learn. Remember this is learning for application and life not for passing a test. What Have You Contributed to Me Lately? Many years ago I did corporate restructuring work. No one I ever ran across was aware of what was happening—their attention was absorbed by their routines and things they should have abandoned many years before. Task lists that just come off the top of your head or the pressure of the flow of events are a real potential danger that day-to-day experience seems to contradict. Connect, connect, connect.